Are the gloves in protective packaging? The gloves are loose with the other products in a sterile pack, so they are completely protected. The pack states "do not use if damaged or open". 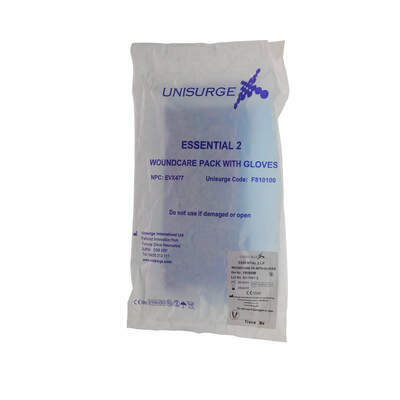 Our Essential 2 Latex Free Woundcare Pack with Gloves has been collated as part of our Essentials Procedure Packs range to improve the productivity of healthcare professionals. Packed with all the essential items needed to properly administer wound care in the medical field, each item in this pack has been individually wrapped in clear easy-peel packaging to allow for easy identification and sterile administration. All items in this woundcare pack are latex free to reduce the risk of irritation while also being fully sterile before packaging so you'll be able to get on with the job at hand straight away. In our Essentials Procedure Kits range, we also have a3 Catheterisation Pack and a 5 Oral Hygiene Pack.